If you think of the human body, microvascular networks comprised of the smallest blood vessels are a central part of the body's function. They facilitate the exchange of essential nutrients and gasses between the blood stream and surrounding tissues, as well as regulate blood flow in individual organs. While the behavior of blood cells flowing within single, straight vessels is a well-known problem, less is known about the individual cellular-scale events giving rise to blood behavior in microvascular networks. To better understand this, researchers Peter Balogh and Prosenjit Bagchi published a recent study in the Biophysical Journal. Bagchi resides in the Mechanical and Aerospace Engineering Department at Rutgers University, and Balogh is his PhD student. To the researchers' knowledge, theirs is the first work to simulate and study red blood cells flowing in physiologically realistic microvascular networks, capturing both the highly complex vascular architecture as well as the 3D deformation and dynamics of each individual red blood cell. Balogh and Bagchi developed and used a state-of-the-art simulation code to study the behavior of red blood cells as they flow and deform through microvascular networks. The code simulates 3D flows within complex geometries, and can model deformable cells, such as red blood cells, as well as rigid particles, such as inactivated platelets or some drug particles. "Our research in microvascular networks is important because these vessels provide a very strong resistance to blood flow," said Bagchi. "How much energy the heart needs to pump blood, for example, is determined by these blood vessels. In addition, this is where many blood diseases take root. For example, for someone with sickle cell anemia, this is where the red blood cells get stuck and cause enormous pain." One of the paper's findings involves the interaction between red blood cells and the vasculature within the regions where vessels bifurcate. They observed that as red blood cells flow through these vascular bifurcations, they frequently jam for very brief periods before proceeding downstream. Such behavior can cause the vascular resistance in the affected vessels to increase, temporarily, by several orders of magnitude. There have been many attempts to understand blood flow in microvascular networks dating back to the 1800s and French physician and physiologist, Jean-Louis-Marie Poiseuille, whose interest in the circulation of blood led him to conduct a series of experiments on the flow of liquids in narrow tubes. He also formulated a mathematical expression for the non-turbulent flow of fluids in circular tubes. Updating this research, Balogh and Bagchi use computation to enhance the understanding of blood flow in these networks. Like many other groups, they originally modelled capillary blood vessels as small, straight tubes and predicted their behavior. "But if you look at the capillary-like vessels under the microscope, they are not straight tubes…they are very winding and continuously bifurcate and merge with each other," Bagchi said. "We realized that no one else had a computational tool to predict the flow of blood cells in these physiologically realistic networks." "This is the first study to consider the complex network geometry in 3D and simultaneously resolve the cell details in 3D," Balogh said. "One of the underlying goals is to better understand what is occurring in these very small vessels in these complex geometries. We hope that by being able to model this next level of detail we can add to our understanding of what is actually occurring at the level of these very small vessels." In terms of cancer research, this model may have tremendous implications. "This code is just the beginning of something really big," Bagchi said. In the medical field today, there are advanced imaging systems that image the capillary network of blood vessels, but it's sometimes difficult for those imaging systems to predict the blood flow in every vessel simultaneously. "Now, we can take those images, put them into our computational model, and predict even the movement of each blood cell in every capillary vessel that is in the image," Bagchi said. This is a huge benefit because the researchers can see whether the tissue is getting enough oxygen or not. In cancer research, angiogenesis — the physiological process through which new blood vessels form from pre-existing vessels — is dependent upon the tissue getting enough oxygen. The team is also working on modeling targeted drug delivery, particularly for cancer. In this approach nanoparticles are used to carry drugs and target the specific location of the disease. For example, if someone has cancer in the liver or pancreas, then those specific organs are targeted. Targeted drug delivery allows increased dose of the drug so other organs don't get damaged and the side effects are minimized. "The size and shape of these nanoparticles determine the efficiency of how they get transported through the blood vessels," Bagchi said. "We think the architecture of these capillary networks will determine how well these particles are delivered. The architecture varies from organ to organ. The computational code we developed helps us understand how the architecture of these capillary networks affects the transport of these nanoparticles in different organs." This research used computational simulations to answer questions like: How accurately can a researcher capture the details of every blood cell in complex geometries? How can this be accomplished in 3D? How do you take into account the many interactions between these blood cells and vessels? "In order to do this, we need large computing resources," Bagchi said. "My group has been working on this problem using XSEDE resources from the Texas Advanced Computing Center. We used Stampede1 to develop our simulation technique, and soon we will be moving to Stampede2 because we'll be doing even larger simulations. We are using Ranch to store terabytes of our simulation data." The eXtreme Science and Engineering Discovery Environment (XSEDE) is a National Science Foundation-funded virtual organization that integrates and coordinates the sharing of advanced digital services — including supercomputers and high-end visualization and data analysis resources — with researchers nationally to support science. Stampede1, Stampede2, and Ranch are XSEDE-allocated resources. The simulations reported in the paper took a few weeks of continuous simulation and resulted in terabytes of data. 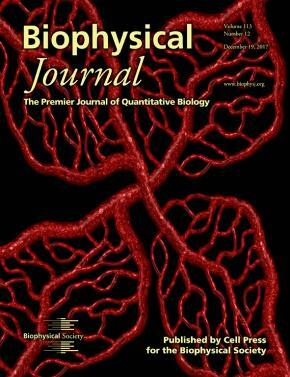 In terms of how this research will help the medical community, Bagchi said: "Based on an image of capillary blood vessels in a tumor, we can simulate it in 3D and predict the distribution of blood flow and nanoparticle drugs inside the tumor vasculature, and, perhaps, determine the optimum size, shape and other properties of nanoparticles for most effective delivery," Bagchi said. "This is something we'll be looking at in the future."